The 11th annual breakfast with Santa benefits the Salvation Army Food Bank and includes a brunch buffet, photos with a donation of cash or food. 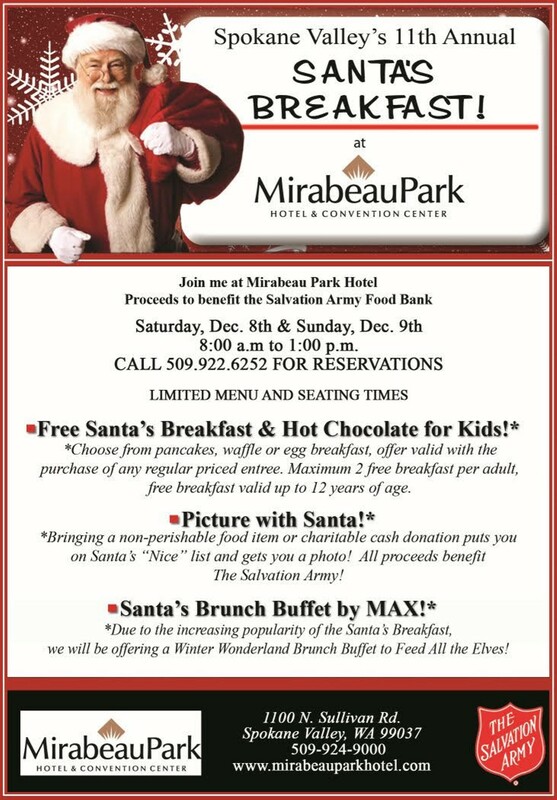 Dec. 8-9 from 8 am-1 pm. Call for reservations.